The Český Krumlov Historic Brewery builds on the tradition of brewing beer in Český Krumlov, which dates back to the 13th century. 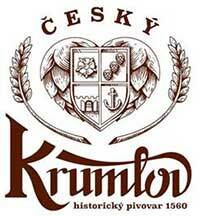 At the end of 2015, the new Český Krumlov Historic Brewery was built in the former princely Schwarzenberg cooling rooms of the original brewery, which in turn builds on the strong tradition of brewing in Český Krumlov. In addition to the use of high quality raw ingredients (a combination of several types of hops and malts, thus guaranteeing a high quality of beer selection), the beer stands out in its almost “handcrafted” processing which ensures its high quality. Lager 11° (4.7% alc. ), light premium lager 12° (5.3% alc. ), dark lager 11° (4.7% alc. ), dark smoke lager premium 12° (5.2% alc. ), Christmas anise special 14° (6.3% alc.). Pubs and beer bars “around the chimney” as well as in Ostrava, Olomouc, Brno, Zlín, Prague, Hradec Králové, Bratislava, and Žilina. During the 2017 summer season, popular brewery tours with expert commentary will again be ready for the public, including an introduction to the entire process of beer production and interesting facts from the history of brewing in Český Krumlov. The brewery garden (6500 m2) is a successful venue for social and cultural events for the general public (Magical Krumlov, Rose Festival, Český Krumlov International Music Festival, etc. ), as well as for rent for private use (weddings, etc. ).